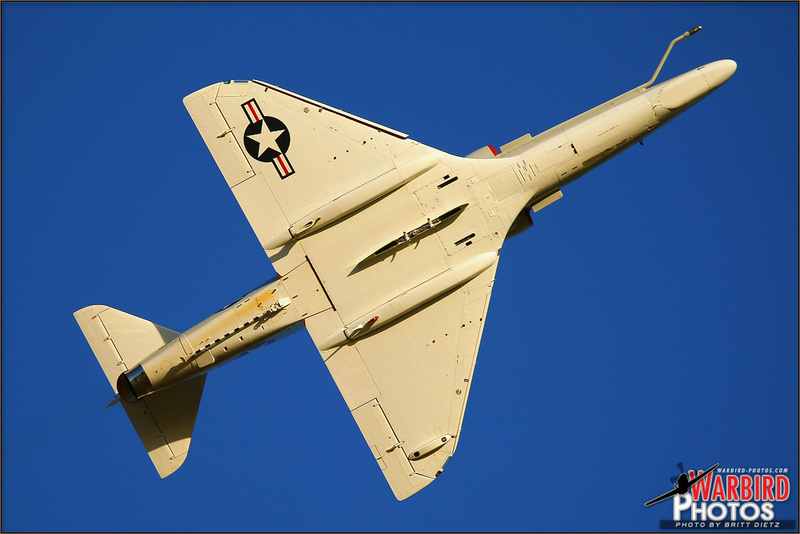 Welcome to 518’s page I will be working on updating the story of the building of this new Skyhawk in the coming weeks. It is important to note that this is an entirely new plane! 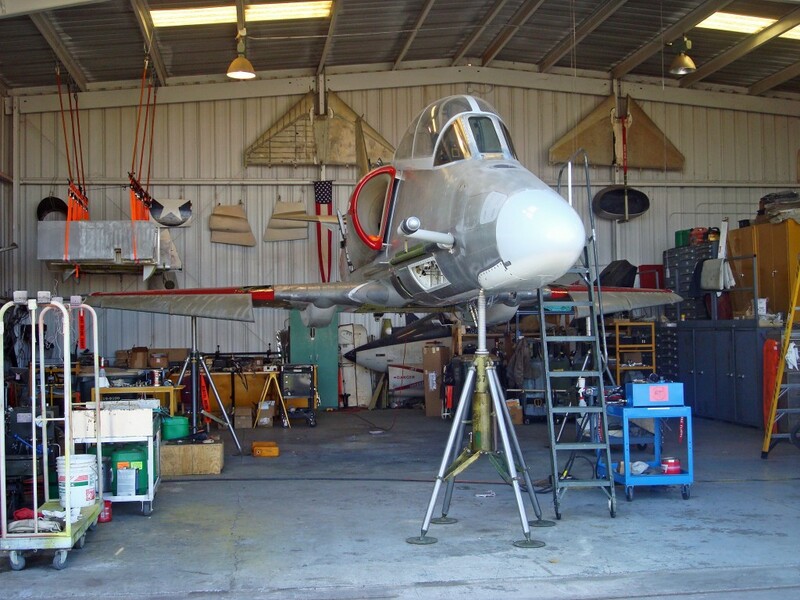 If you are interested in purchasing or knowing more about this great plane please give me a call or drop me a note. 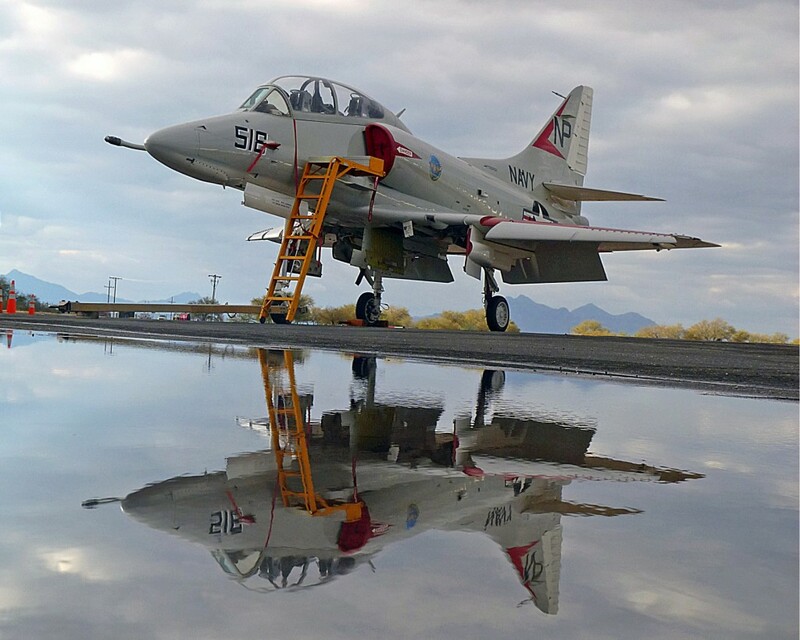 Britt Dietz took these great shots of 518, check out his web site for more amazing aviation photography. I will upload photos of the restoration as time permits. We started on 518 June 13th 2005. The first flight was on April 18 2010. The cockpit Before and After. The entire forward fuselage is completely re wired. 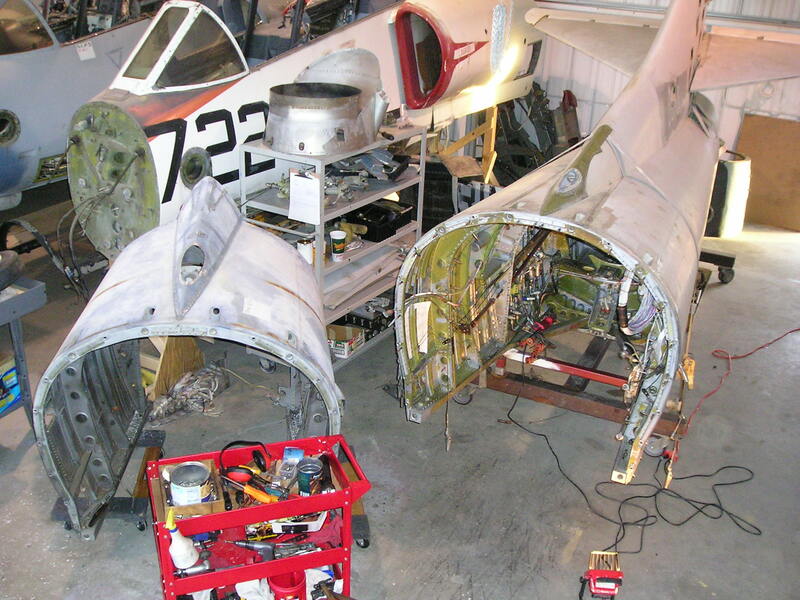 Ed Miller, a former Marine A-4 electrician, is here pulling out every stitch of wire from the forward fuselage. 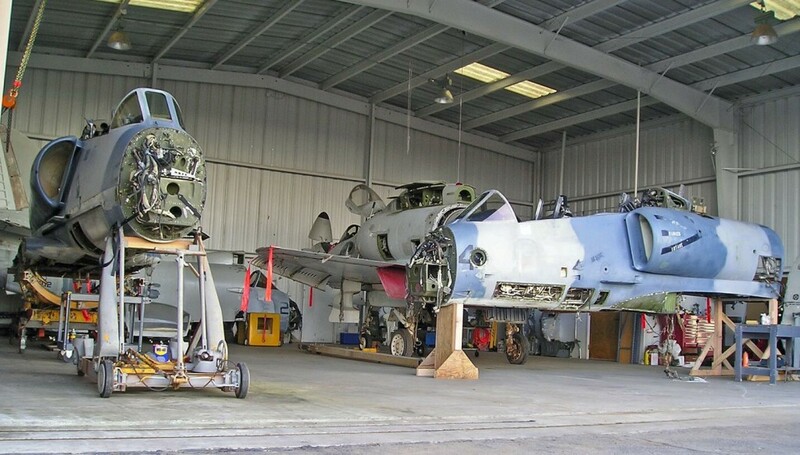 On the right, the front cockpit progressing. Jeff Nelson of Custom Connections is responsible for the entire re design and re- wire of 518. 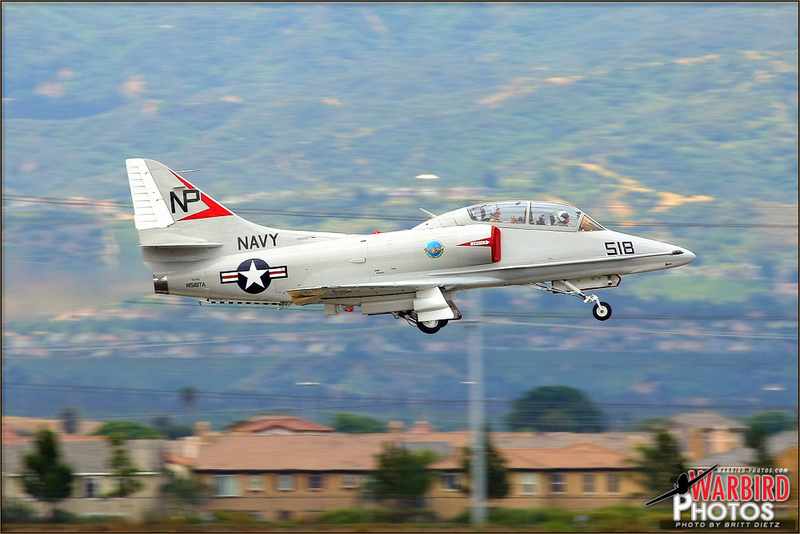 All the wires are marked as the stock TA-4 is and can be troubleshot using the stock Navair electrical manual. 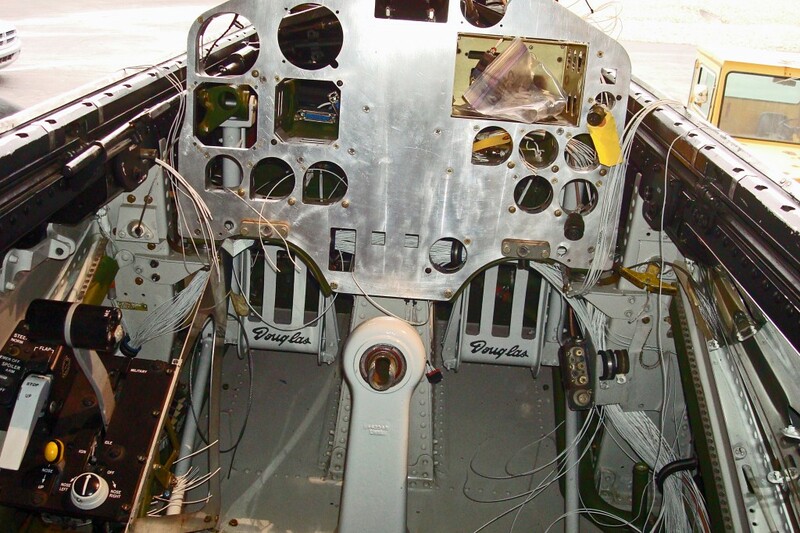 May 2009, The aft panel is being fit and wired.